Mr. Willuweit concentrates his practice in mental health law and confidentiality, risk management, health care law, professional licensure, and guardianship and probate matters. 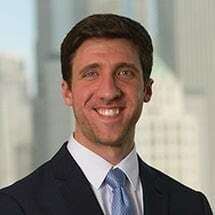 Prior to Monahan Law Group, Mr. Willuweit completed internships in the general counsel's office at both a Chicago-based hospital and a national healthcare professional association, in addition to the city of Chicago. Further, he volunteered at the Pro Se Adult Guardianship Help Desk for the Cook County Circuit Court. Mr. Willuweit received his J.D. from Loyola University Chicago School of Law, where he served as Senior Editor of the Annals of Health Law and was involved with the Beazley Institute for Health Law and Policy including planning and coordinating the 2015 Access to Health Field Study in McAllen, Texas. He received his undergraduate degrees from Loyola University Chicago where he graduated from the Interdisciplinary Honors Program and was active in the Alpha Phi Omega Service Fraternity.